This is true love. You think this happens every day? -Cary Elwes from "The Princess Bride"
You're Getting Married. You need a crown. Not just any crown. This one! OOAK- ONE SIZE FITS MOST. These roses are bright, like blushing peaches, pinks, yellows, pale PASTELS AND CREAMY WHITE. Bright enough for a creamy white wedding gown. YOU'RE GOING TO LOOK BEAUTIFUL! *PLEASE NOTE- this is an OOAK crown (This is the only one available). 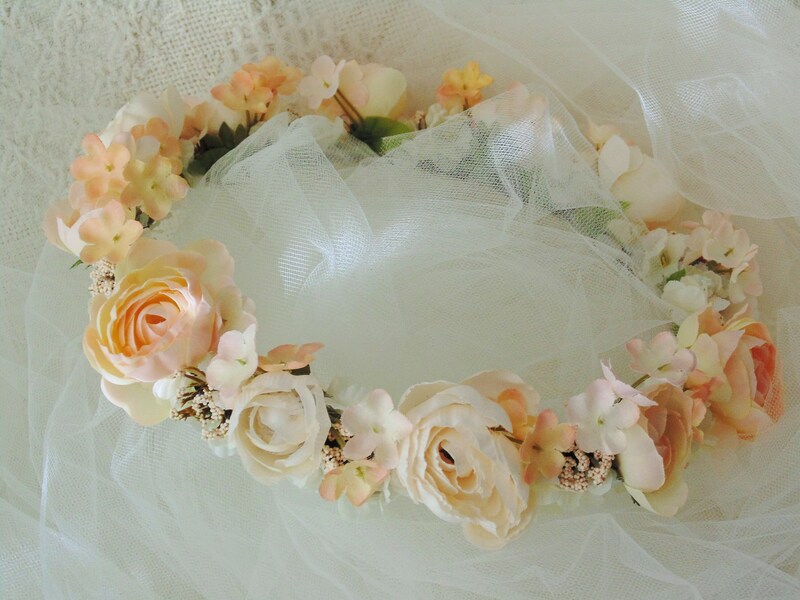 I work with random stashes of flowers and the ones used in this crown may or may not be available and substitutions may have to be made to recreate. Blooms and colors will vary due to seasonal availability.